Like a breath of fresh air, Indonesian band Hightime Rebellion shapes a music genre of their own - their songs find their way between the rich and fun shades of pop, funk, rock and dance. 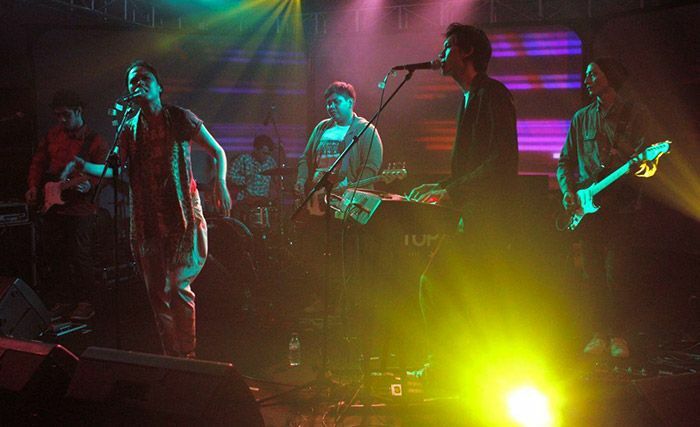 The band gained early popularity and cult following through the club music scene, performing in Indo Dance Music Festival, Revive and other indie gigs. They finally drew public attention at large events including Nylon Music Festival 2011, Java Rockin'land 2011 and Love Garage 2012. Their upcoming album sounds like Blondie songs covered in the style of the Beatles with an atmosphere reminiscent of the Mamas and the Papas. Hightime Rebellion are Rendy Surindrapati, Jason Sutrisno, Pulung Wahyuaji, Reza Arafat, Adji Dimas Ramayanda and Miyane Soemitro.